It isn't obvious from a modern map, but for much of recorded history Elgin was isolated from the rest of Scotland; with the Cairngorms to the south the town was protected by two unbridged and often uncrossable rivers, the River Spey to the east and the River Findhorn to the west. Elgin probably existed in 1040 when King Duncan's army met and lost to Macbeth at Pitgaveney, a mile north east of the modern town. 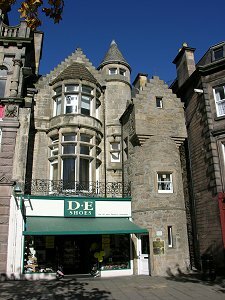 Certainly it was well established by the time it was Chartered as a Royal Burgh by David I in 1136. See our Historical Timeline. 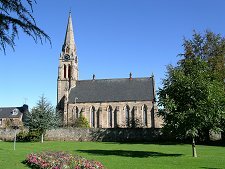 In 1224 Elgin acquired a cathedral when Pope Honorarius agreed that the Cathedral of Moray should move to its final location on the banks of the River Lossie, just to the north of the centre of the town. 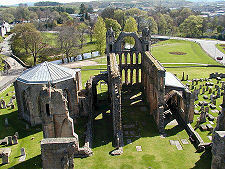 Elgin Cathedral, though ruined, remains extremely impressive and is well worth visiting. 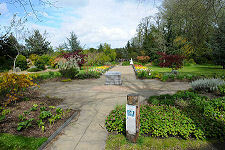 While you are there, don't overlook the nearby Bishop's House, which can be viewed externally, and the excellent Biblical Garden. By 1230 Elgin also had a Royal Castle, built on the foundations of an earlier defensive structure, possibly the one in which Duncan I died of his wounds in 1040. 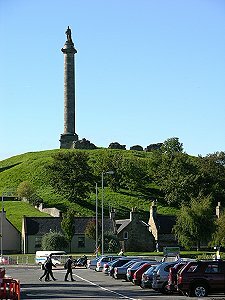 Edward I stayed in Elgin Castle when he visited the city in 1296 during one of his tours of suppression. Little remains of the castle today, though Lady Hill on which it stood remains a prominent viewpoint. 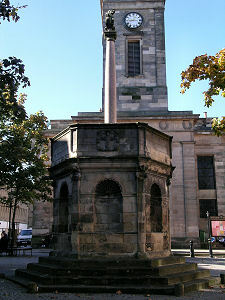 Since 1839 this has been the site for the 80ft high Duke of Gordon Monument carrying the statue of the 5th Duke. Elgin's natural defensive position and its castle did it little good in 1390 when the Wolf of Badenoch, Alexander Stewart, burned down the cathedral, two churches and many other buildings in the city. Alexander Stewart was the younger son of Robert II, and the Bishop of Elgin had caused him to be excommunicated for marital infidelity. He attacked Elgin in revenge. If 1390 was the first occasion when marauders from the Highlands attacked Elgin, it was not to be the last. They came again in 1402 and 1452, and in more damage was done in 1568 when the Regent Murray removed the lead from the restored cathedral's roof, consigning it to a decline that culminated with the collapse of the main tower in 1711. In 1645, the Duke of Montrose's Royalists plundered the town, and to complete the decline, the bishop's palace at Spynie was abandoned in 1686. 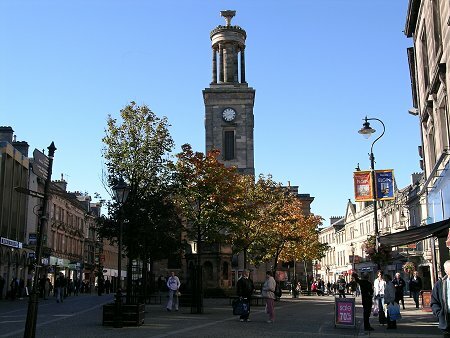 By the late 1700s some travellers were recording less than flattering impressions of Elgin. 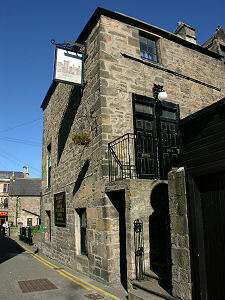 Boswell found a thinly inhabited place of little trade, while his companion Dr Johnson encountered, he said, the only poor meal he received in Scotland. And the poet laureate Robert Southey, bemoaned "the appearance of decay" in 1819. But change was on its way. From 1820 Elgin reinvented itself as a grand neo-classical city. It was seen as an ideal place for upwardly mobile highland landowners to live in winter, and money made abroad, particularly by Scots returning from India, also began to make an impact. Meanwhile a number of industries, especially distilling, were making an increasing contribution to the economy of the area. From the mid 1800s this growth was reinforced by the coming of the railways. In 1852 a line was built to connect Elgin with its port at Lossiemouth, and from 1858 it had a station on the Aberdeen to Inverness line, a journey that took four hours at the time. 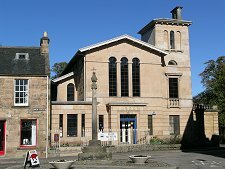 Elgin has since featured a number of times on railway enthusiasts' "must see" lists as the terminus for the longest continuous route in the UK. For a time after 1863 this was the run from Elgin to Euston via Aberdeen. In the 1920s the title was held by the nearby Lossiemouth, to Kings Cross sleeper service, while more recently, a through service operated for a brief period in the 1980s from Elgin to Penzance. Elgin now boasts a new railway station, and these days the run from Aberdeen to Inverness takes nearer two hours than four. 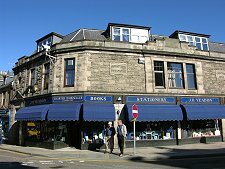 Elgin today remains a fine town of great character: and one which sometimes lays claim to be called a city. You can read more about city status in Scotland here. 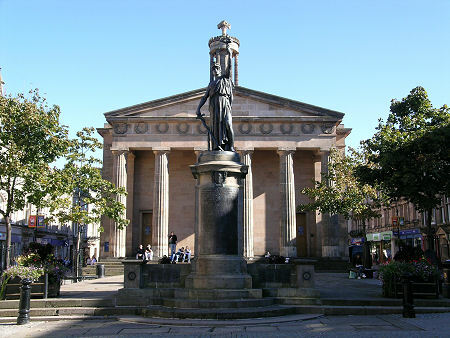 The grandest buildings are found on the High Street, especially where it splits to pass both sides of St Giles' church, a reflection of Saint Giles' role as the patron saint of Elgin. Leading off the High Street to the south is a warren of alleys and closes making this a wonderful place to explore. In one is the extremely impressive Thunderton House. 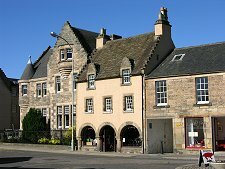 Now a pub, this dates back to the 1500s and started life as the Royal Residence used by the king when staying in Elgin: in effect a palace. It later became the town house of the Earls of Moray and later the Lords of Duffus, and in 1746 it was briefly home to Bonnie Prince Charlie. 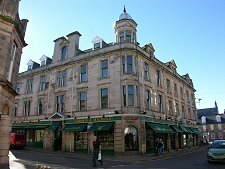 For those with an interest in Scotland's most famous and finest product, its malt whisky, it is worth making a pilgrimage to South Street to find Gordon and MacPhail's shop. 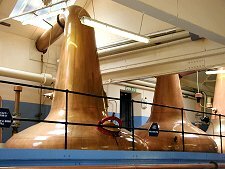 This family run business was founded in 1895 and much of the current world-wide enthusiasm for single malt scotch can be traced to Gordon and MacPhail's consistent production of independent bottlings during the long years when most distillers viewed blended scotch as their only truly commercial product. Meanwhile, on the western edge of Elgin is Glen Moray Distillery, complete with its excellent visitor centre.